On a clear day it is possible to see the Alps from Munich, Bavaria's capital and Germany's third largest city. Filled with theaters, museums, art galleries, high end shopping areas and a dynamic nightlife, but with the rustic feel of a village. Nothing could be more appropriate for what is often called the country's "Secret Capital"; the capital of one of the oldest states in Europe. Bavaria. History and historic buildings, surrounded by Germany's magnificent alpine scenery, fairytale castles, ancient monasteries, and a natural paradise of unspoiled forests, rivers and 1,600 lakes. With four distinct seasons each with their charms, and almost always deep "Bavarian Blue" skies, Bavaria is beautiful at any time of the year, making it one of the main destinations for holidays in Germany. While during the winter from end November through to February, and often into April on higher slopes, it becomes a wonderland with hills and mountains covered in snow. A scene of natural beauty, as since 1984 the conservation of nature, and protection of the environment, have been priorities in Bavaria and part of their constitution. Although the German Alpine Association ensure the Alps are accessible, the preservation of the alpine environment takes precedence. Summer, spring and autumn the traditional towns and villages attract holidaymakers and day-trippers from Germany as well as the rest of the world. To enjoy everything from water sports, mountain climbing, walking, horse drawn carriage holidays, festivals, sightseeing; or just relaxation, life, nature and the crystal clear air. With the arrival of winter the area is taken over by snowboarders, alpine and cross country skiers, ice-climbers, snowshoe hikers, ice skaters, as well as sledge tours, tobogganing and curling. And of course "apres ski", which is more "gemütlich", cozy in feeling and fact, than loud and boisterous. For anyone wanting to stay somewhere a bit different from a conventional hotel there are popular, and genuine, hay lofts and igloos. Nevertheless winter in Bavaria is not all about winter sports, as snow highlights, and makes a stunning backdrop to, attractions such as the "Bavarian Forest National Park" with its wildlife; marked winter walking paths; cross country ski trails and the fairy tale castle of Bavaria's King Ludwig II. NEUSCHWANSTEIN, inspiration for the Sleeping Beauty and Cinderella castles at Disney theme parks, and like many of Bavaria's favorite spots, even including some outdoor heated swimming pools, the castle remains open the whole year; snow or no snow. A blanket of white adds an extra dimension to the tourist routes, such as the "Alpine Route" from Lindau on Lake Constance to Berchtesgaden on Koenigsee, which takes in 25 Castles, Abbeys and Palaces as well as Mountains and Ski Resorts. Although heavy falls do occasionally close some of the roads. There is also the famous Romantic Road between Wuerzburg and Fuessen. Passing through medieval walled towns, mile after mile of beautiful scenery and World Heritage Sites. Winter or summer Bavaria is famous for its beer, and the ever popular "Beer Route" visits some of the 650 breweries in Bavaria's most picturesque villages and towns; one of which is BAMBERG. Like Rome Bamberg was built on seven hills, and with its 1000 year history, area of canals that lives up to its description of "Little Venice" and one of Europe's largest intact old town centers, even without a layer of snow Bamberg is a gem among German towns. Thousands of monasteries, abbeys and churches have made Bavaria a center of winter pilgrimages, to sometimes complex ornate structures situated that are in remote areas and were built by local craftsmen. WIESKIRCHE on the Romantic Road, with its Rococo style church, "Pilgrimage Church of the Scourged Saviour" is one favorite, as is ALTOETTING, between Munich, Passau and Lake Chiemsee. For over 1,250 years it has been Bavaria's spiritual center, and every year the "Black Madonna", a statue of the Virgin Mary from 1330 receives over a million visitors. There is the perfectly preserved medieval city of REGENSBURG, with its Rococo "Church of our Dear Lady", Zu unserer lieben Frau, and medieval St. Peter's Cathedral; while of course "Oberammergau" is one of Germany's best known places of pilgrimage. Bavaria's many cities, large or small, each have their own individual charm, traditions and history, in addition to varied shopping districts and tastes in nightlife. 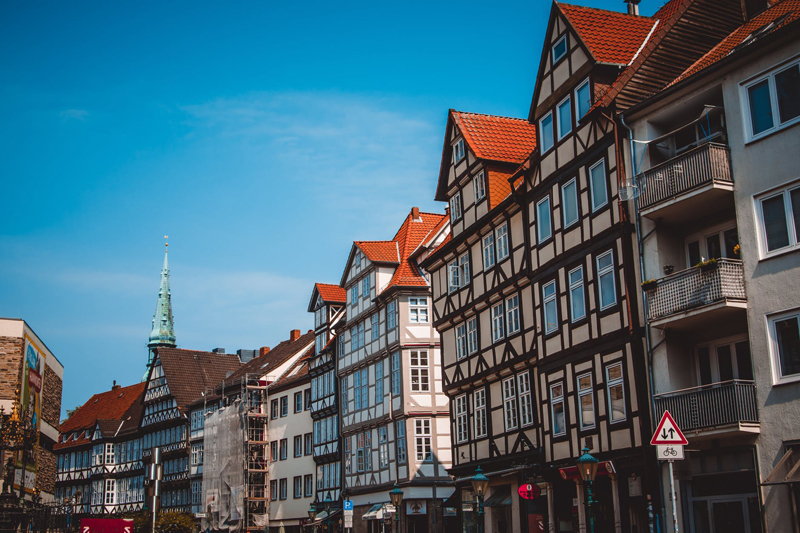 "NUREMBERG" has a medieval center, castle, and 30 different museums, "COBURG", stunning architecture, a wealth of art, culture and links which range from Queen Victoria to Martin Luther, while "AUGSBURG" has a 2,000 year history but is modern and dynamic. Its "old town" criss-crossed by canals and with the world's oldest existing social housing complex, "The Fuggerei". A historic walled commune that has been part of the city since 1516, and is still in use. In the winter as in all the seasons Bavaria is a wonderful mixture of the traditional and high tech, breathtaking landscapes and up-to-the-minute cities, health resorts and sport. Together with the hard to resist temptations of traditional German food and regional specialties, from local fish, game, vegetables and cheeses to Schmarrn mit karmellisierten Aepfeln, Bavaria's "I just don't want to think how many calories it has" dessert or anytime snack, and all combined with the typical Bavarian "joie de vivre, "A Love of Life". Covered by those layers of winter snow it's a magical experience.